Thanks for this awesome post! I do eat less at meals. I do have a working link to that special. I will give your ideas a go and see how I go. Also what about duty and taxes, as well as shipping fees. Thanks, glad you find it helpful! Great, detailed price breakdown. Thanks for taking the time to put this together. Thanks for taking the time to comment, Mario. Thanks, Tara — happy to help! Hope the diet goes well if you end up trying it! Happy to help, and best of luck with month 1. Thanks for the heads up about the auto-delivery as well. Also, do we need a lot of freezer space? Does the 4 weeks worth of food include frozen food too? Very well-written blog, I like it a lot. Part of the reason it may be hard for those of us "of a certain age" to lose weight is that we're not supposed to weigh the same as when we were younger. Alanna, I wish you the best of luck on Medi-Fast! A couple of years ago my friend lost 40 pounds on the program, at the same time I was losing 20 lbs on Jenny Craig. Two years later, she's gained 35 lbs back, and I've gained Since I've gone vegan 9 months ago none of those "packaged" plans will work for me, they all rely on animal protein of some sort. However, if you "use" Medifast as a jumping point and maintain from there, awesome! I just couldn't do it, call me a packaged diet failure. Alanna, you look wonderful! I really enjoyed your story. I'ts similar to mine. I lost 80lbs and my husband lost lbs on WW about 12 years ago. I am a lifetime member and even worked for WW as a meeting leader for a year quit because a new job forced me to travel a lot. However, like many of us, I've gained the weight back. I wanted to do Medifast for a while, but I was worried that it really didn't teach about how to cook or eat. It, like many other weight loss programs, just gives you the food to eat to lose weight. I liked learning what a portion is i. However, my sister-in-law pointed out something to me. She said, "You worked for WW, you know how much to eat, how to cook, and what you should do. So, on to Medifast. I've lost 38lbs in 3 months and I haven't had one issue following the plan. Thanks so much for your post and inspraition. So glad you posted this! As it turned out, I just got back from a trip and started on Medifast yesterday for the first time the package arrived while I was away. Love the tip about making the shake with coffee. I'll definitely try that. I don't have a lot of weight to lose only about 15 pounds , but have just not been able to motivate myself to reduce my food intake enough to get rid of it. I think that putting myself on a diet like this where I have specific food to eat each day is the kind of structure I need to jump-start my weight loss. I usually eat well fresh foods from scratch, with lots of lean protein and veggies, not many sweets , so the idea of the pre-packaged food wasn't all that exciting to me. If I find it hard to stick with it for a long stretch of time, perhaps I'll try alternating the Medifast food with home-cooked food on alternate weeks or even alternate days. As long as I'm lowering my overall food intake, I should still lose weight, though more slowly, of course. Congratulations on your weight loss, and sticking with it! It's a great inspiration to me. Hi Alanna--I left a message on your blog but I guess it was after you closed it to comments. I am just wondering why you chose medifast over other meal replacement systems like Nutrisystem or Jenny Craig. Congrats on your weight loss--I hope to be down 20 to 30 lbs by this summer. In part, that's because I didn't "choose" Medifast, it chose me by virtue of my friends Kathy and Georgia starting it. I did no other research. I honestly didn't even think of it but also know that I am often confounded by too many choices, leading to long periods of indecision. Sorry, not much help as you make your own deliberations! 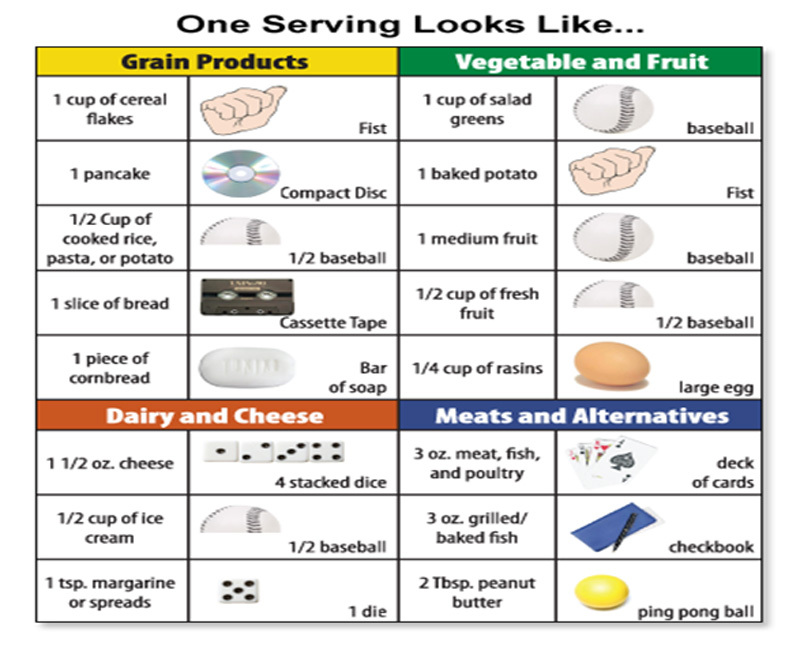 The "snack" ideas do resonate, since one of the things I most appreciate about Medifast is the frequency of the food intake. Is "vegan" working as a weight loss vehicle for you? Mark Bittman of course lost many, many pounds with his "vegan until dinner" approach. I know that the first time I gained weight, back in my 30s, was when I stopped eating meat. It's not fair to blame vegetarianism, it's just that I wasn't well-educated and switched to cheese as one protein source. That is terrific, go, go, go. And it really encourages me that I'm not alone in using both WW and Medifast as different tools at different times in our lives. Your sister is a wise woman! If you're not used to caffeine, be careful using a full 2 cups of coffee to make the shake, it will, at least it did me, give you a bad-bad case of the shakes! Really interesting post - I'll be looking forward to hearing about your experiences going forward. Keep up the good work. Just for clarification, by "snack" I mean anything eaten between the three major meals. I define "treat" as cake, cookies, anything dessert-like. I don't see popcorn as a treat so much, but carmel corn or any of the sweetened popcorns would be a treat. So a snack isn't necessarily a treat, but it could be. Your goal around "thinking about food less" really hit home for me. Any tips on how you reached this goal would be appreciated! I have been a lifetime member of Weight Watchers since , but spent a lot of that time over goal. Two years ago, I got back down to goal and am now working part time for Weight Watchers. I agree that the importance of maintaining a healthy weight trumps other considerations. I believe everyone must do what works best for them. I am so glad that you are losing weight, becoming healthier and feeling better about yourself. Losing weight is difficult, and maintaining a healthy weight is even more difficult. We constantly must start over and try new techniques. Good luck on your healthy living journey. By the way, my husband and I enjoyed Chicken Sybil for lunch today. Alanna, so feel like we could be sisters. Have treasured this blog, along with Veggie Ventures for years. Have been on and off WW for almost 40 years. Still believe WW is best program if you take time to plan and follow program. Four years ago I was at my highest weight ever. My father in law had been on Medifast without telling us. He asked if I really wanted to loose weight. I had been skeptical about packaged foods and cost. Yet when you really step back and think about it, it was skilled at buying ingredients with the best of intentions, changing plans, forgetting the recipe and then throwing away the food. Wasted food, larger clothes, and most importantly diminishing health can be even more costly than the MF plan. With thyroid issues, to ease my mind, I also checked with our family physician. He gave his seal of approval. Originally I questioned how some of the prepackaged "meals" could keep me full. Like you, it took trial and error to find the meals I preferred. Tastes do change over time. Recommend reconsidering some of the items you did not like earlier. I started Medifast in May and am approaching 60 pounds lost. This is my "mindless", stress management diet. I am a Weight Watchers Lifer who after several false starts on WW finally lost over 70 lbs 8 years ago and have kept it off. Thanks for sharing Alanna. I lost 50 pounds thru attention to diet and exercise a few years ago but still had about 50 to go. You have inspired me to try medifast. Thank you for posting your experience and being so honest and forthcoming. I'm a WW life-timer and loyal to the program. I've been hesitant to post a comment because I did not want to appear as a troll or as negating others' experience. That's not my intention. So, that said, here is my concern One's overall health status and underlying medical conditions can be at the heart of being unable to maintain a healthy weight. I understand the struggle with weight loss and maintenance. After all, I didn't end up in Weight Watchers because I ate healthy and exercised regularly. However, I've often struggled since attaining my goal weight. Some times, I wasn't faithful to the program, and that is correctable. It's these times that a physician, not a new weight loss plan, was my best course of action. So, my intention is to encourage your readers to evaluated their own health and visit their doctor prior to adopting a new diet if they think it might be necessary. I, too, needed a change from Weight Watchers. I am a lifetime member, but currently over my desired weight. I tried WW several more times, with no success I decided on Jenny Craig for many of the same reasons, and I am finding the change was a good one. As a real-food cook, I was worried, but the meals are tolerable, and once I got past the first week of starving, even cooking for my family is ok--they were kind enough to eat dinners out the first week! I worried about all the processed food and still do , so I was glad to hear the friend's advice that the important thing is to lose the weight and keep it off. I do the Jenny 5 day plan loosely , which gives me 6 meals a week on my own, with their guidelines. I sometimes do more than 6 on my own, but have plenty of Jenny meals and snacks in the freezer for back up. I agree--find something that works for you in this stage of your life. There's another way to lose weight and lower your risk of diabetes and heart disease, as well as most other common diseases of aging, but it requires a complete paradigm shift-- to being fueled by fat, not carbs. In this way you can keep your blood sugar low and consistent without having to "eat" every hours. And I think you're totally right to be suspicious of highly processed food-- it's not food! Look at what humans have been eating for most of our time on this earth-- it wasn't grains or sugars, and it sure as heck wasn't processed food. The longterm health risks of a carb-fueled, processed-food diet are still significant, even if you lose weight. And starving yourself is not the answer. You'll lose weight with calorie-restricted carb-based diets, but it will always come back. I've been eating this way low carb, meats, veggies, nuts, seeds, fruit, all real unprocessed food for two years and have never felt better. I, too, knew many people who were successful on Medifast. I considered the plan for months before I dove in. I was on Medifast for almost 6 months, and lost 31 lbs. Considering the fact that I lost 7 lbs. I went on a cruise, celebrated my daughter's high school graduation, and never deviated once. I reached a very happy goal weight of lbs. As soon as the holidays came, I started to fall off the wagon. I did not do a good job transitioning and making the permanent changes necessary. I am sad to say that I am starting again on Medifast tomorrow, and I am not sure how long I will last, or how I will do. I have a limited supply of foods remaining from past orders, so I want to use them up and not order anything new, but I will see how it goes. I think I have enough for at least a month or two. I wish you luck in the transition and maintenance phase. It is truly the hardest part. I just switched to Medifast myself, which is something I said I would never do, but I just could keep joining WW time after time and failing. After reading your decision, I started to investigate and found out all I could about MF. I started my journey in February and am now down 40 pounds. I have more to go, but this is the first time in 30 years I have been able to stick to a diet long enough to be successful. So again, I thank you. But, like you said, I wasn't working the program. I hate how they change it every year so nothing is consistent anymore. Plus, I'm food obsessed. WW was too permissive because I could anything and this made me push the "anything" boundary until those choices were unhealthy and I'd "make up" for it by making more unhealthy choices to compensate. What I love about MF so far is I just don't think about food anymore. I eat to fuel. I can't wait to get to goal so I can enjoy real food again and I hope that this "reprieve" from my obsession with food may help me develop a different mindset about food in my future. I was reluctant to try it--and I don't share that I'm doing MF with many people--because in a way I feel like I gave in to something "easy" or that I'm cheating in this weight loss. Except, it's not easy, it just seems to be working. I have been feeling like a sell-out to good health for considering mf so I really appreciate your honest input. I am going to give it a try! And btw, your comments to others are always so kind and considerate. Thank you for being such a lovely voice on the internet when we are barraged with so much ugliness! I think that I started to put on weight again after losing 30 pounds on WW in beginning in when I started writing A Veggie Venture. Thank you for the reminder. PS You put your concern so very gently, no worries about sounding like negative or like a troll! Figuring out what works for each one of us, what a revelation. I hear such good things about this whole approach. I think it would be an easy transition for me And down 40 pounds, whoa!! Thanks for adding your experience! And good luck, it takes commitment, of course, every program does. I found your blog because of the WW recipes and was so excited. After abandoning the WW plan, I regained all but ten pounds. I now believe I'll reset my goal to 50 as I feel it is attainable. I don't like all the Medifast food either, however I do like most of it. I appreciate never feeling hungry and all the support the TSFL community gives. It's the easiest weight reduction program and most successful I've every tried. Not only have I had success, but also my 2 daughters, daughter-in-law and my best friend are losing steadily or on transition. It really is wonderful to have so many of us helping each other. My coach is great too! Good for you taking off the weight and keeping it off. I detested counting points and was always hungry on WW. Every day I say to myself or others "this is so easy I can't believe it. You have your own Medifast support group going on there! Hi Alanna - checking back here. Thanks for your input regarding the continuing journey! I have found out it really helps me to read inspirational stories of success. I have attended the TSFL meeting that was held locally - it is so much fun to hear the passion that people have to tell how losing weight has changed their life. It was amazing to me that some of the people are even dietitians and health professionals! One was even the director of "Be Fit" for our state and found out that exercise alone does not a slender person make! I was especially happy to hear the men that spoke. I have some men in my life that could use this program! One last note - it sure is more fun to go shopping now! Yes yes and yes again! Congratulations on reaching the transition point, yes, so empowering it is to take control. Just FYI - keep your shopping in check, my experience with both WW and Medifast is that it takes a couple two or three or even six months for your body to settle into its new size and shape. I started Medifast after my father died of an obesity related heart condition. I lost a lot of weight, got to a lower size then I had ever been as an adult and felt I went from lb to in about a year. I seem to be an all or nothing kind of person. I have gained back 50lbs and feel terrible. I am terrified to do medifast again thinking it will work in the short term but not in the long run, but then again maybe I woudl finaly learn to transition and eat healthy after. So scared to make a choice on what to do McDonalds and ice cream. I dont even like this food, I just dont know how to stop. I had a beautiful garden this year and ate very little of it because I was so out of control with yucky food that nothing healthy sounds remotely appetizing. Wishing you continued success! It feels a little bit like "paying it forward". Let me know, please? Thanks for your story! I did Medifast several years ago through the guidance of my physician. I checked in weekly, weighed, took my blood pressure, etc. My blood pressure lowered, my cholesterol went down where it should have been and I felt amazing. I lost over 50 pounds with Medifast. Afterwards, I went to WW to learn to maintain. However, having a daughter who plays travel ball did me in summer after summer. To the point where I said, the heck with it, I just don't care. Well, that wasn't true really! Recently, a very, very close friend of mine who has struggled with weight loss and is a couple years older than me, I'm 52, started going to a trainer and eating better and looks amazing. With my job, unfortunately, I can't go to a trainer and some physical issue limit me right now on what I can do training wise. However, I got on the scale the other day and not only did I gain back the 50 pounds I had lost about 4 times now I gained another 5. That's when I said, nope, not gonna do this anymore. I don't have lots of time, but hope I can work it out. I know how great I felt on Medifast and how much I don't hurt when the weight is gone. So, realistically, I have to lose about 70 pounds. The good news is that Medifast has some more choices now than ever before. Years ago, my parents went on Medifast and all they had were shakes! So, to have options now like cereal is huge for me! I love the bars and the shakes and it's easy to prepare. I figured cooking 3-meals and learning to eat healthy when eating out might be a good challenge. It's only been 3-days but I do feel good in general and lost a bit already. If this doesn't work, I will go back to medifast. For now, I'm going for slower method while learning how to cook healthy! I was lifetime WW member and after hitting about Following WW and eating less than extra points on that I was still gaining. I exercise faithfully 5 to 6 days a week and at age 65 was at my highest weight. I think I had 3 cookies all of Christmas and was careful with food choices. I decided I needed to try that. One of them had been WW member too and was gaining on the plan after about age 50 too!!! 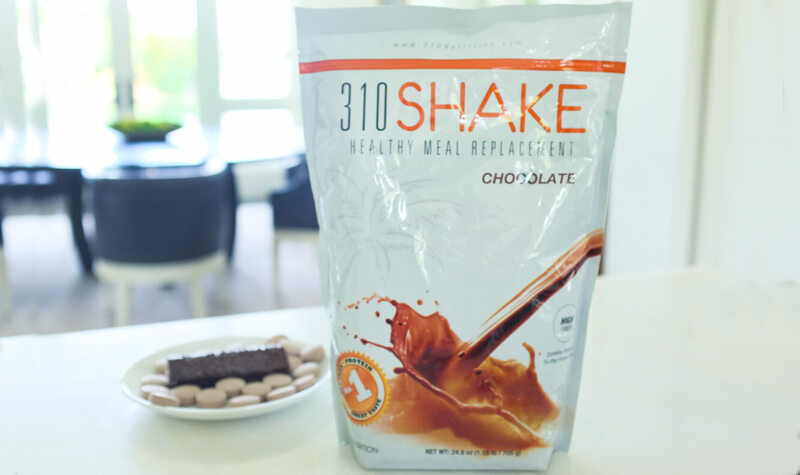 I am losing slowly on Medifast and have found shakes and bars that make this pretty easy to do daily. We have always loved veggies and chicken or fish, so easy to have my cooked meal a day too. My only concern is that I hope I am not getting too much soy in my diet with all these products!! Anyone have any thoughts on this? So far I have gotten used to the soy taste in the shakes and bars and now they seem to taste pretty good!! I need to lose some weight and WW works for me but it is too slow. I did Medifast once but when I went off I gained it all back so quickly. Want to do it again but with a plan this time for after I lose the weight. Anyone else try Medifast and then go to WW? Good luck with your journey! Alanna - One thing that your readers should be careful about is Medifast triggering their Gout. I have been on Medifast for less than 4 weeks and lost 19 pounds and have had 4 painful Gout attacks in that time period. I think we go through changes, and what worked before all of the sudden doesn't anymore. I did WW for 3 years and lost 70 lbs, but then all of the sudden I wasn't getting anything out of the meetings and just seemed to lose my interest and motivation. I've gained 45 lbs back. I had a great leader, so it wasn't her. I just changed I guess. I normally turn up my nose at anything that involves pre-packaged meals too, but for some reason I feel that I need more structure than WW can provide. Maybe it will be enough to get me back into weight loss mode. Thank you for sharing your experience with this. I have tried them all. I have since lost 63 lbs.! I have been so inspired and want to pay it forward, that I became a coach too. I love my job and love my ability to help others. Thank you for your extended story. I still have about 28 lbs. They have facebook groups you can belong to for encouragement, new recipes, a free nurse and dietician line and even more accountability and motivation. It is the best way to go The education after the fact. It is what will make your weight loss journey a success. I was given a coach's number through the daughter of a friend and I am on my way to better health. The processed food is the biggest hurdle, in particular the artificial sweeteners. I am now working on my own almost calorie free pancake syrup and jam using only stevia so I can at least avoid them in the extras. For the first time in a long time, and after 20 years of yo-yo dieting, I feel hopeful for a successful outcome. I love finding postings such as this. I just recently posted on my own blog that I needed a restart. I am a Weight Watchers lifetimer that has gained back and for the past 2 years have been doing WW on and off - again, the weight is still there because I'm not totally doing the program my fault, not WW. But just this week I decided I was "pointed out". It should not feel like work to eat! I don't see the food, I see a point value. About a year ago I told my doctor that I was tired of counting points. He told me to stop counting them that if all I learned from WW was counting pts, then I wasn't doing the program. It took me a year to finally realize I needed to let go.